If you ever find yourself in a situation where you or a loved one has been hurt at work in a construction job, on a construction work site, or while you’re on the clock, don’t hesitate to call the PM Law Firm so that we can thoroughly investigate your claim, and make sure that you get all of the help you need. Our passion is providing the residents of Humble, Texas, with personalized legal services and to represent your best interests in order to get you the results that you want. If one of your loved ones has been injured or killed in a construction accident, make sure that the construction injury lawyers at the PM Law Firm are one of your first calls so that we can make sure we’re there from the start to assist you in your case. When you’re hard at work on a construction site, there are many accidents or incidents that can result from your labor – whether you’ve fallen, been struck by an object, gotten caught in a machine or piece of equipment, electrocuted, or been affected by an explosion or detonation. And, in many cases, companies are not willing to step up and take the blame for the damages or injuries that employees might have experienced. If this happens to you, we can help. We’re experienced in bringing companies with faulty equipment or unsafe work environments to justice, and getting you the compensation you deserve to cover your losses, injuries, or wrongful death of a loved one. 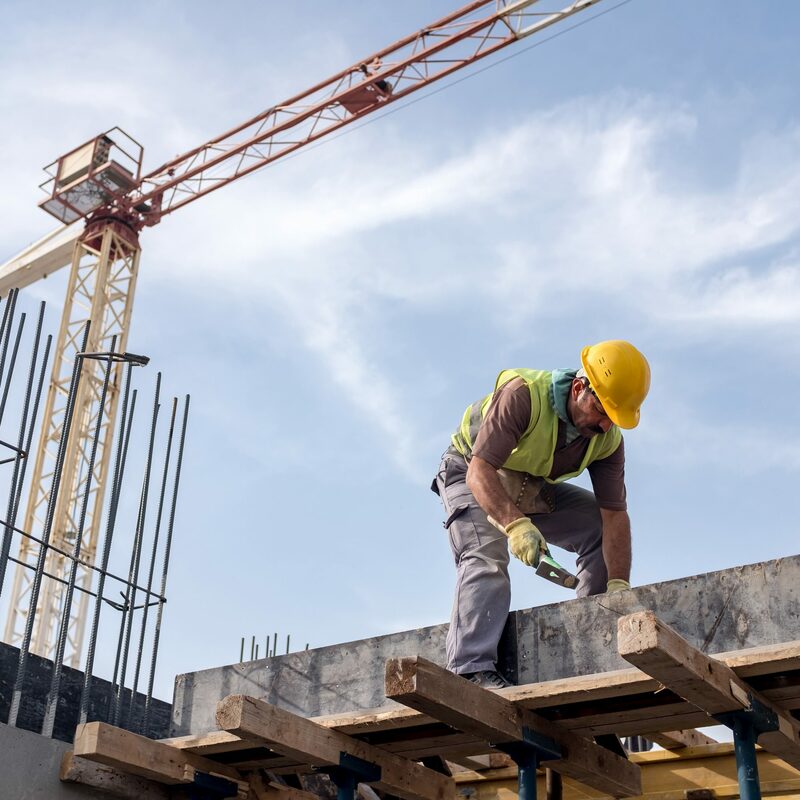 There is no case that we won’t take on – our construction injury lawyers are dedicated to protecting the men and women in the construction industry in Humble, Texas, and will stand by your side to get you or your loved one the results that you deserve. According to the United States Department of Labor, nearly 21% of the total worker fatalities in 2016 were in construction. The leading causes of death were falls, being struck by an object, electrocution, or being caught in or between equipment or machines. These top four leading causes of death were responsible for more than half of the construction worker deaths in 2016. This is an unacceptable statistic that should not be accepted as the norm in the United States. We’re willing to fight for you to make sure that companies are held responsible for negligence or faulty equipment. Why Get a Construction Injury Lawyer? On a daily basis, employees who work in the construction industry are faced with navigating dangerous work sites and completing tough tasks in often unstable and dangerous environments. It’s an unforgiving industry, and one that we want to make sure that is held accountable for any mistakes or negligence that occurs. The most frequently violated Occupational Safety and Health Administration (OSHA) standards in fiscal year 2017 were falls protection, hazard communication, scaffolding, respiratory protection, control of hazardous energy, and ladders. These examples are just a few among many frequently violated standards. They can happen anywhere, at any time, to anyone – including to bystanders who just happen to be nearby. Those are grim statistics. At the PM Law Firm, our construction injury lawyers want to help you become more than just a statistic – you’re a human being who deserves to feel safe at work, and to know that your company is on your side. If you’ve experienced a construction accident or injury that you believe was caused by an unsafe construction site, negligence on behalf of your company, or from misuse of equipment or faulty equipment, our construction injury attorneys can help you investigate the cause of the accident, and be sure that the responsible parties are held responsible and that you get the outcome you deserve. Call us today to learn more about our services and how we will work to help you or your loved ones through the challenging situations you may be going through. Or, you can fill out an online form to schedule an initial consultation with us to see if we’re the right match to help you with your legal troubles, and to get you back on your feet again. Our primary goal is to support you throughout you or your loved one’s recovery, and to make sure that you win your case – stress-free.